Bridges. We build them. We burn them. We travel across them to new destinations and we let them carry us home. We stand on them to stare at the awesomeness of water or to watch fireworks in the sky. If we are superstitious, we hold our breath as we cross. I love bridges. I love to look at them, travel across them, stand on them and take pictures of them. I’m not sure if there is any significance of bridges in my personal life. I tend to look at things in-depth and over-analyze everything. I had a rough morning, and for some reason, bridges popped in my head. My desktop is a picture of a glorious black train bridge (aren’t most train bridges black?) printed in black and white. Sometimes I honestly just sit and stare at my desktop for a good three minutes. So after bridges popped in my head, I started thinking about why bridges popped in my head. I had just spent the morning on the front step with my coffee and cigarettes watching about forty starlings communicate in their “squeaky swing” chirps and sounds and I thought about how they were behaving as a group. I had some old crackers so I crunched ’em up and scattered them on the ground. Granted, before my time with the starlings, I had just had an argument with someone who insisted on bashing me. This took me back to my computer to look up the starling animal totem, which is relevant to working in groups of people (starlings are rarely alone) and I started to wonder what the heck bridges and starlings had to do with one another (in my mind). And then, it clicked. “By learning starling’s behavior, I can live peacefully with my friends and family” is what it says on the totem site. Clearly, if I keep insisting on being right and dwelling on the problem instead of working in the solution, I will burn bridges. But my pride gets in the way and I stray away from the group (or person) because I’d rather sit in my crap than find a solution. Thankfully I can see this relatively close to when the situation arises, instead of further down the line after the damage has been done. Step Six: Were entirely ready to have God remove these defects of character. Step Seven: Humbly asked Him to remove out shortcomings. Now, we all have character defects, and most (if not all) of us like to hold on to many of them. I hold on to them more often than I think I want to. Which is why, when I am ready to have my defects removed, they will be, and not before. I pray every day for my defects to be removed. God, however, cannot live my life for me and I have this stinking thing called “free will” floating inside of me constantly. It takes awareness to be entirely ready to have my character defects removed. I am now aware of the significance of the murmuration of starlings this morning. I have to think before I speak. As far as bridges go, I don’t have many left to burn. Do you have any character defects you don’t dig much? My own thoughts: our troublesome behaviors are habits that we acquired and honed. If you can break the habit of reaching for a drink you can break the others. It’s just a frigging lot of work. My experience was that when I utterly accepted the consequences of my crappy choices as inescapable, that finally brought me to the point where I stopped making those choices. Couldn’t take the pain any longer so no matter what, I had to make a different choice. Good morning.. it is definitely a lot of work. Thank you do much for stopping by. You’ve given me some things to think about. Have an amazing day. Bridges and starlings, what a wonderful contrast. I’m in awe of bridges, but I suffer from vertigo so walking across bridges feels like an initiation to me. 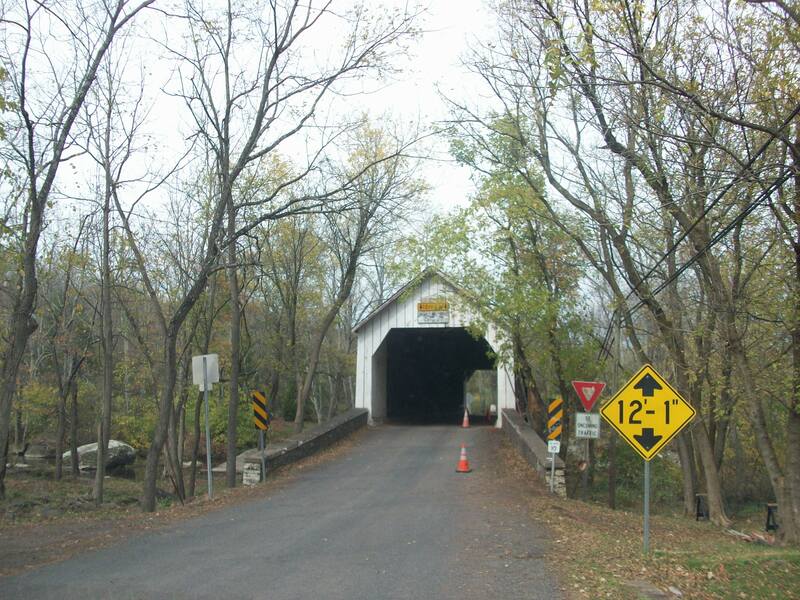 One time when I was looking for an apartment, my spirit guides told me to cross a bridge that normally frightened me. After crossing this bridge, I found the perfect home and I lived there for 6 years. Starlings–people either love them or not. I find them fascinating and love the Milky Way on the back of the male birds. These birds can whistle too. Starlings are fabulous birds. I know some farmers don’t like them, but watching flocks of starlings on farmland is incredible. I would imagine they eat harmful insects. 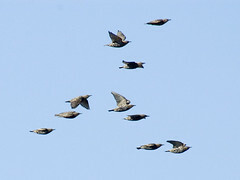 I once saw a flock of starlings, maybe a hundred or more form an arrow then fly in a circle. I have no idea how to interpret that. I do have a few character features that annoy me at times. I hesitate to label them all as defects – they make me what I am. But when they do start to annoy me enough, that’s when I work to change them. If I’m successful, or fail, I take the credit for myself, and try to learn form it for next time. Thanks, Mike. I used to think my defects were the best thing about me! Now I see (and I am only speaking for myself here) that most of them are detrimental. I’m lazy, procrastinate too much and tend to be full of self-doubt. None of these are good when trying to make it in the writing biz!